Today's comic is the first of two comics that will centre around Desert Bus 5! 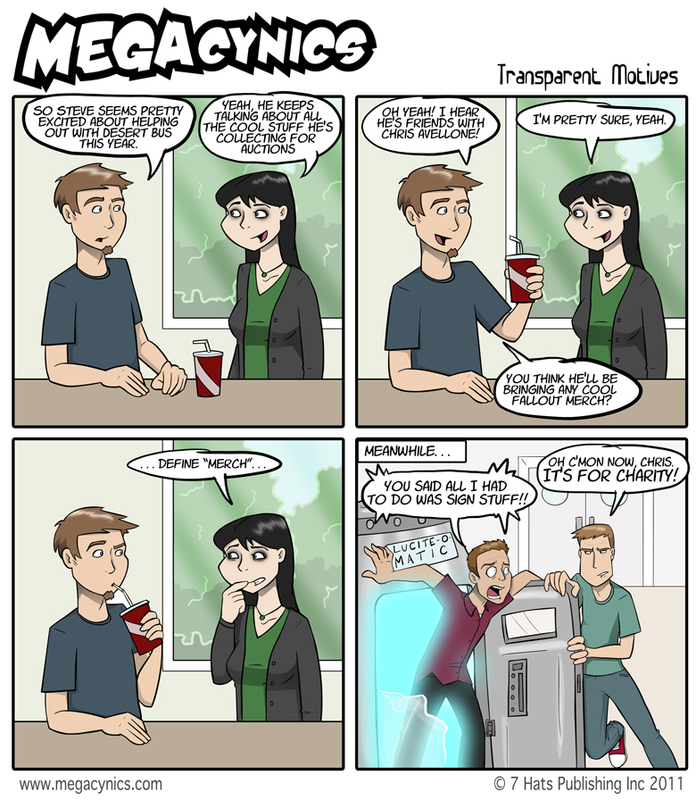 Guest starring in this comic is Loading Ready Run's Graham Stark and one of our favorite game moguls, Chris Avellone. I haven't actually done the second DB5 comic yet, because I will be drawing it from the LRR moonbase during Desert bus! Stay tuned to Desertbus.org to catch a glimpse of Steve and myself as we shall be making appearances on the Saturday! Also, DONATE MONEY TO DESERT BUS!